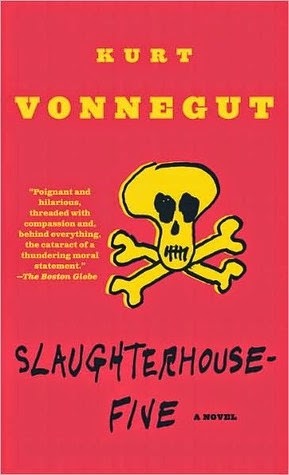 Slaughterhouse-Five is one of those always on the 'books you have to read' lists, so I thought it was high time I gave it a try. I wasn't sure what to expect and so the style of the book took me a little by surprise. The tale is this bizarre mismatch of time travel, alien abduction and war that still has a serious message underneath. The plot jumps around a lot, but it was not difficult to follow, and the prose was enjoyable and easy to read. I'm not sure I quite understand why this book is praised as highly as it is: I found it good, but it didn't blow me away. Still, I can recommend this for fans of absurdest literature or those looking for something deep yet playful.